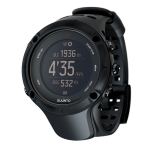 The Suunto Ambit 3 Peak smartwatch is a GPS watch for explorers, multi-sport athletes, and outdoor enthusiasts. In addition to GPS connectivity, it can access mobile networks and receive up-to-date weather alerts about a local area. It has a 30-hour battery with a unique 5-second GPS feature, that checks current GPS coordinates efficiently. 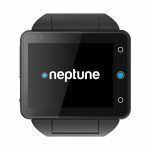 Other sensors include a compass, altimeter, heart-rate monitor, and more. The Ambit 3 even allows you to use your phone as a second display for the GPS features, thanks to a companion app. It can also sync calls, messages, notifications, and alerts from a connected phone.